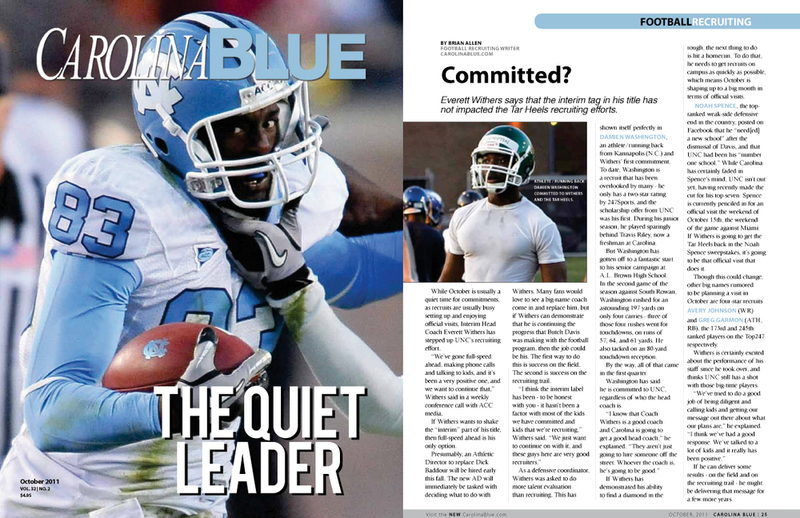 I was a freelance contributor to CarolinaBlue.com, 247Sports.com and CarolinaBlue Magazine, where I had a monthly column wrapping up the latest events in high school football recruiting news with a focus on the University of North Carolina Tar Heels. I interviewed some of the nation's most highly skilled high school athletes, including Todd Gurley, a top draft pick and current star for the St. Louis Rams. Here you can check out some examples of my monthly recruiting columns.